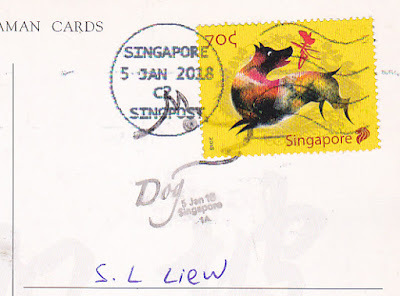 Year of Dog stamp with First Day Cover cancellation. Dotting the eyes of the dragon before the dance. 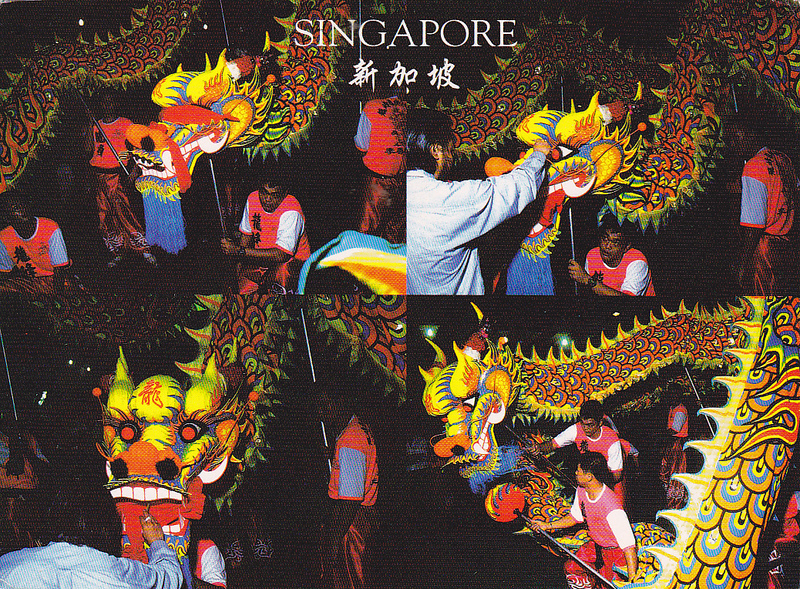 Dragon dance is now popular during Chinese New Year and other festivals. 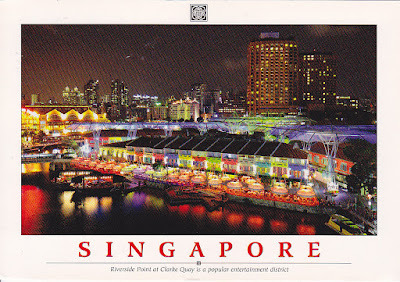 Thanks to KJ of Singapore. 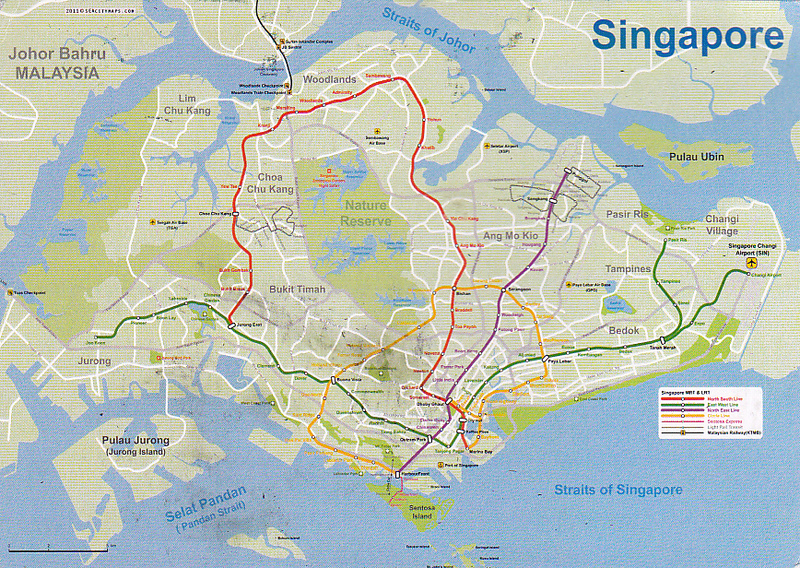 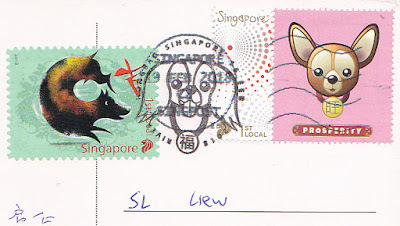 Map of Singapore with Year of Dog stamp used. Thanks to Rachel of Singapore. Night view of Singapore with Year of Dog stamp used. Thanks to Jean-Pierre of France. 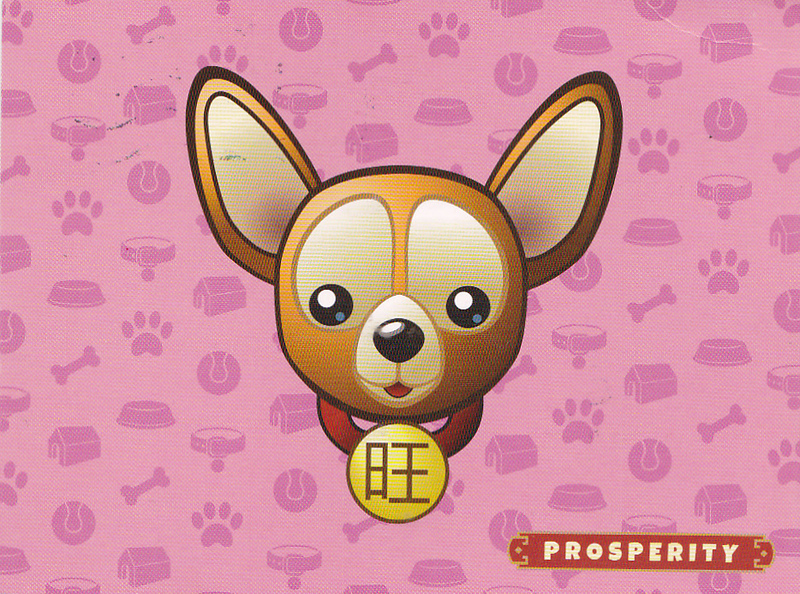 Prosperity postcard of Year of Dog. 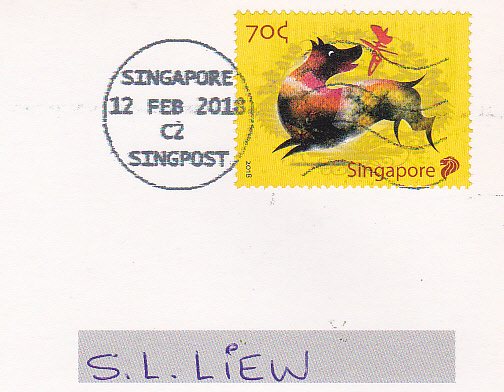 Thanks to Tai Yang of Singapore.